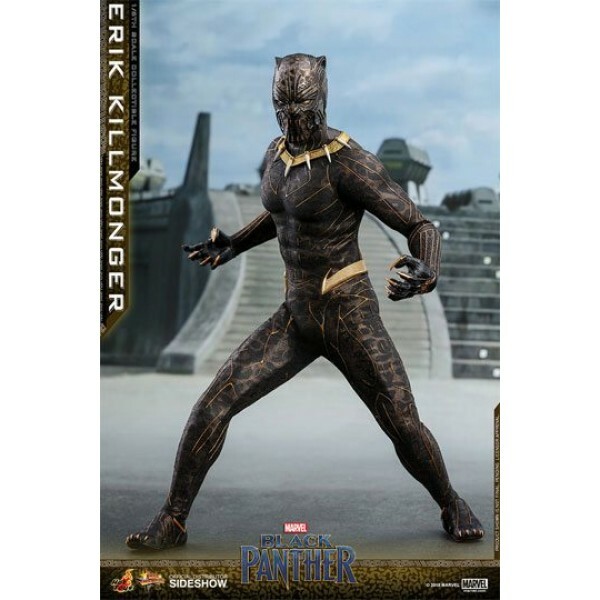 Following the launch of the Black Panther collectible figurine, Hot Toys is thrilled to present today the first cousin of King T'Challa, Erik Killmonger in sixth scale collectible figure. 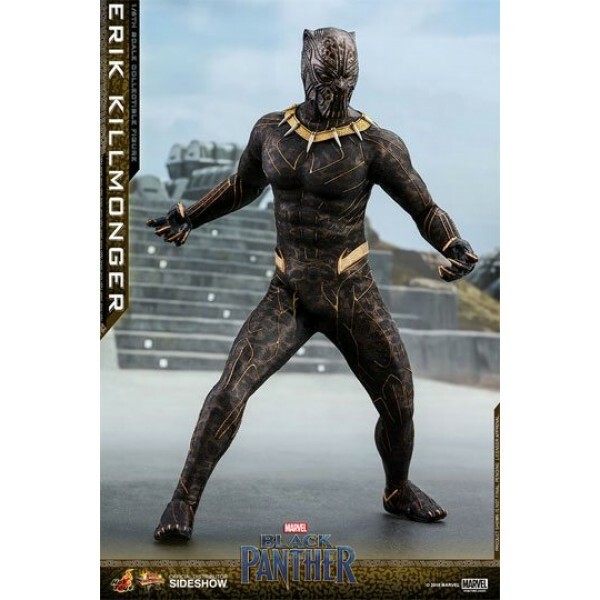 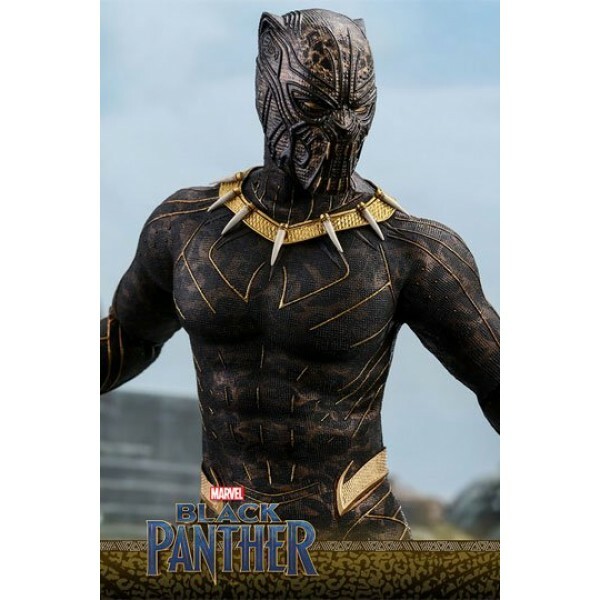 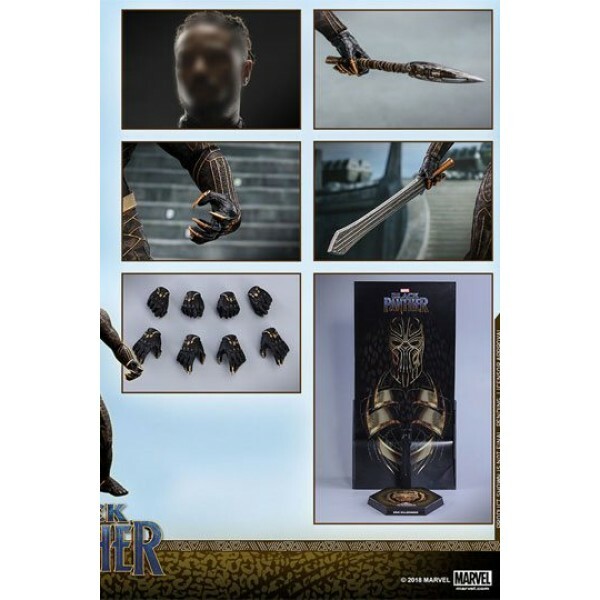 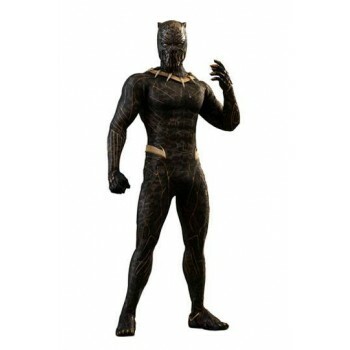 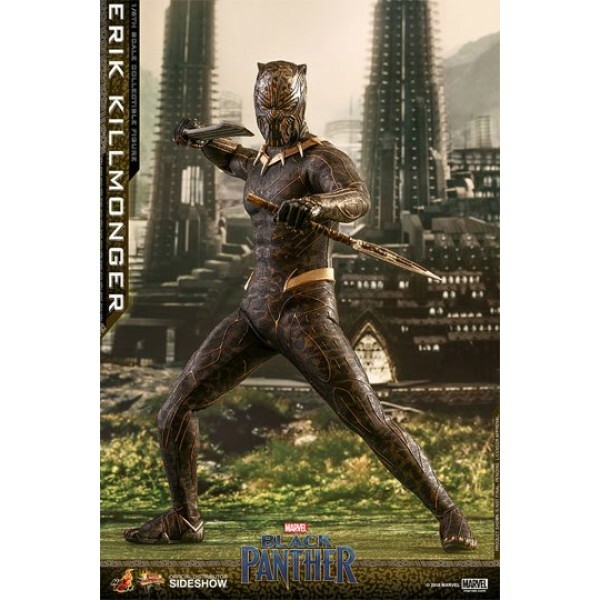 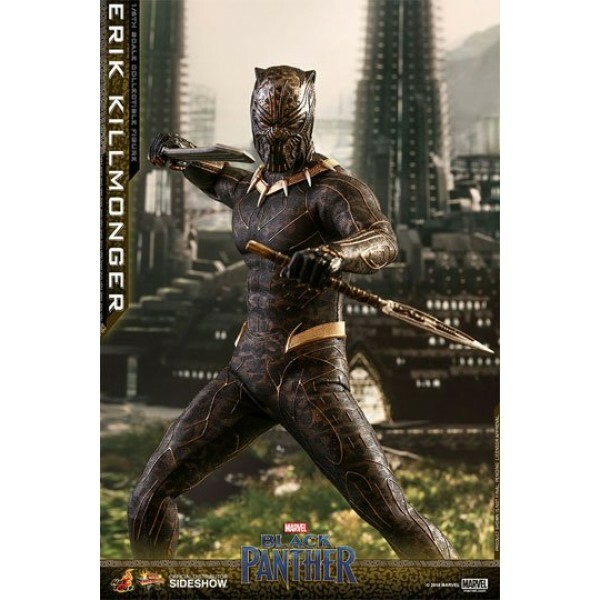 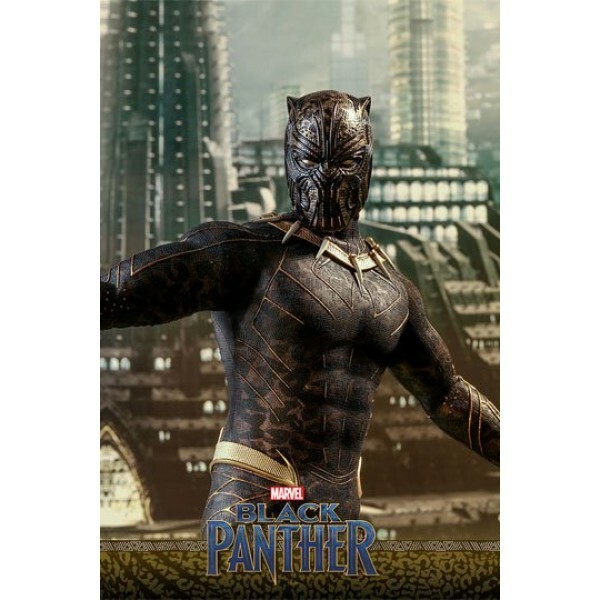 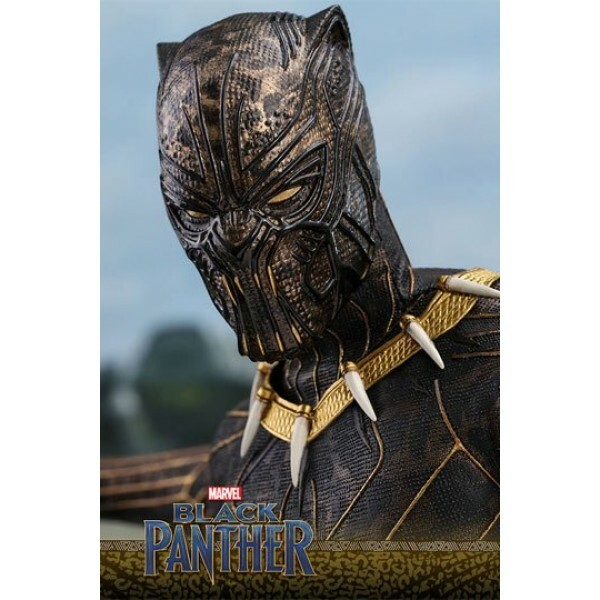 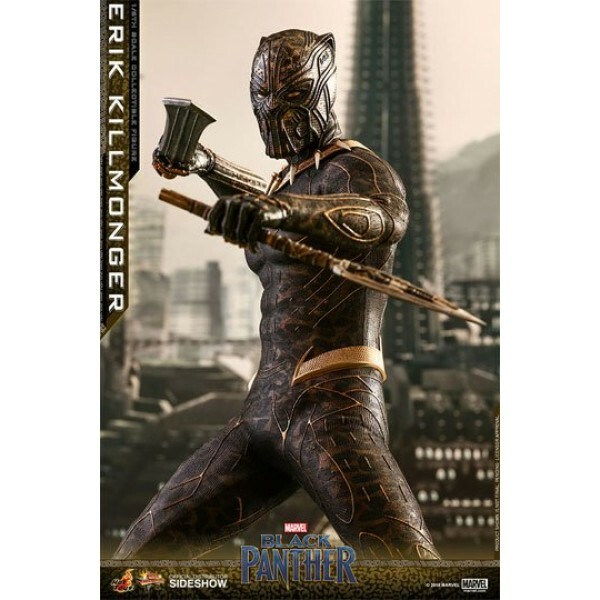 The screen-accurate collectible figure is specially crafted based on the appearance of Michael B. Jordan as Erik Killmonger in the film featuring two interchangeable heads which include a newly sculpted unmasked head sculpt with authentic likeness and all-new masked head with fangs and highly detailed textures, a newly developed muscular body, skillfully tailored Golden Jaguar suit with remarkable tailoring and golden accents, detail recreation of Erik Killmonger's weapons, and a specially designed movie-themed figure stand! 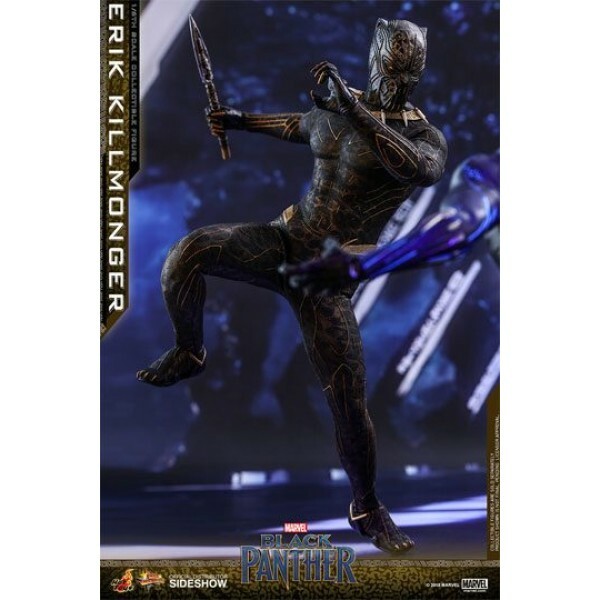 Now is the time to add the collectible figure of Black Panther's formidable adversary, Erik Killmonger to your expanding Marvel Cinematic Universe collection!